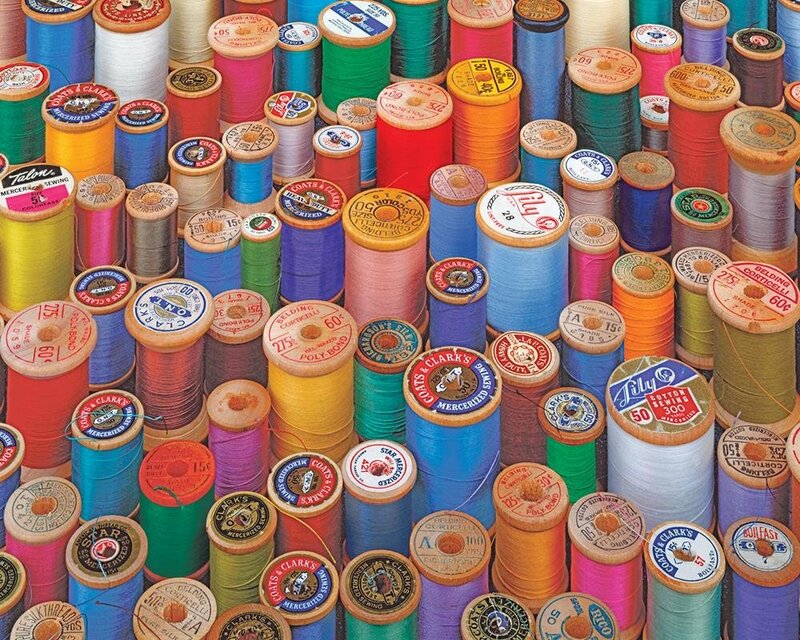 Spools of color. Spindles of thread. Ready for some fun with a bit of challenge? You'll be sure to get wrapped up in this challenging sewing puzzle. Luckily there are no needles to be threaded, only pieces to be placed!